"We have known Jordan for many years and have witnessed his passion for community. 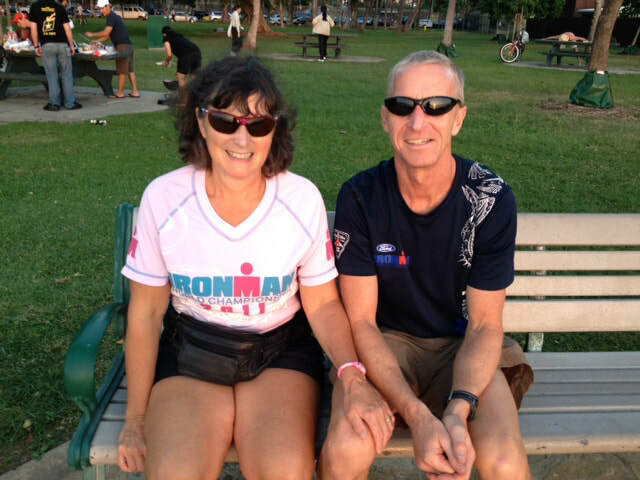 Through our connection with running and cycling events, we have worked with Jordan on a number of large and smaller scale events including the World Police and Fire Games, World Masters Games, and the District's own North Shore Triathlon. As residents of the Blueridge area, we love our community and we want to know that the area will evolve in a way that works for us now and in the future and we think Jordan will be a strong voice for us on DNV council." "I have known Jordan Back both personally and professionally for 20 years. 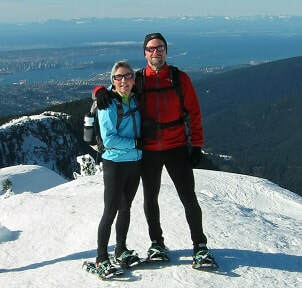 He is a North Vancouver person to the core and he has been an advocate for North Vancouver events and businesses for many years. His concern for the community and his conviction to get things accomplished would be a great asset on District Council. I would urge you to join me in supporting Jordan Back this October." "I have known Jordan Back for some time now, and as a resident of North Shore District I am more than happy to recommend Jordan as a candidate for North Vancouver District Council. Jordan is hardworking, honest, talented and informed and I can’t think of a more apt choice for council." personal or professional reasons. He gives 150% to whatever the cause is ,and is committed to seeing it through. Jordan has also been a mentor to my older son in regard to his musical talents. My 15 yr. old son Jackson has had the honor and privilege of playing the piano during some very special occasions while Jordan showed his beautiful and talented voice. We have lived in and raised our family in Lynn Valley and have seen what Jordan is capable of. For that and many other reasons. I know Jordan Back would make an amazing contribution to the DNV council. He has our Vote!" 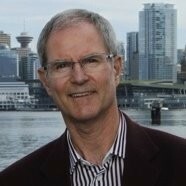 "It is our pleasure to endorse Jordan Back for the District of North Vancouver Council. We have known Jordan for fifteen years as an athlete, a community volunteer and a business person. During this time we have observed his commitment to his family, his friends and his community. Jordan is a creative problem-solver with an incredible work ethic and a willingness to take on new challenges. Jordan will bring his energy, enthusiasm and positivity to DNV Council but more importantly, he will bring his excellent listening skills, balanced perspective and strong judgment to the role of councilor. Jordan will make a great addition to DNV Council and he has our whole-hearted and unreserved support." "I have had the great pleasure of knowing Jordan since 2006 where we discovered that we both had a passion for advertising sales and business development. Jordan was in sales at the North Shore News and I was a VP over at Global BC. We began a regular routine of grabbing a coffee and considering how to share best practices in communications.problem solving and business growth. Jordan is a highly motivated,dedicated,enthusiastic professional highly skilled in communications and relationship building…which all ad up to a business professional who is completely enjoyable to deal with…and he delivers…just ask his clients and friends! Our relationship has been very productive on a business sense and truly enjoyable on a personal note! I wish him well on his efforts to join the North Vancouver District Council…he would make an excellent Councillor!" "I have had the privilege of knowing Jordan Back for 20 years and there are many things that impress me about him but the one thing that characterizes him best is that he is an “all rounder”. Jordan has shown a capacity to succeed in many arenas. He worked successfully for me at the North Shore News before parlaying that experience into a successful career at Corus Entertainment. In both roles he has advised business owners on their marketing efforts. As someone with a passion for his community, Jordan spends many hours helping with important community initiatives - from volunteering at the annual North Vancouver Canada celebrations, to his years of working to help organize the North Shore Triathlon. He squeezes more into a day that most of us manage in a week and he succeeds at all of this because he is a quick study, a good listener and a team player and a great friend to many. To me - it seems we need more politicians like this and the District will be well served by him." "I was born and raised in North Vancouver. I have known Jordan Back as a passionate contributing member of the community for over 20 years. Jordan is very caring, always listening and wanting everything he is involved with the be the best it can be, without bias. Jordan Back demonstrates those values in any endeavor he participates and leads in collaboratively. I am proud to be his friend and so happy he has chosen to apply this for all North Vancouver District residents to benefit from, as Councillor, when they go to vote in October 2018. I know they will be well served with Jordan advocating for them."